Queensland's Barty and grand slam titan Williams, contesting her first tournament since childbirth last year, will square off for a place in the third round. And Barty, who returned to circuit after an 18-month hiatus last year, can't wait to test Williams. "You want to play the big names and you want to test yourself against the best, and I think any opportunity you can do that is good," she said. Williams and Barty have played only once previously, with the American posting an easy win at the 2014 Australian Open. Ash Barty demolished Russia's Natalia Vikhlyantseva in three sets. "It's been a few years now. And I think I'll have to use those experiences, both the good and the bad from that match, going into my next match," Barty said. "But I think I'm in a very different place. I think Serena is also in a very different place. "And I think just what an opportunity. She's a genuine champion. "What she's done to be able to get back, along with Vika (Azarenka), as well, and a lot of the other girls who are coming back after pregnancy is a pretty amazing thing." Williams was equally effusive about Barty. Ash Barty said she was looking forward to the challenge of playing Serena Williams. "Well, she's playing unbelievable, and she's had such an amazing year last year and this year, as well," Williams said. "She's continuing her amazing rise since she came back and been so focused on tennis. "So it will be a really good, another good show for me. She does everything great. You know, I'll be excited to go out and see what I can do." Barty was the first to reach the second phase, showing no sign of back soreness in demolishing Russian Natalia Vikhlyantseva 6-3 6-1. 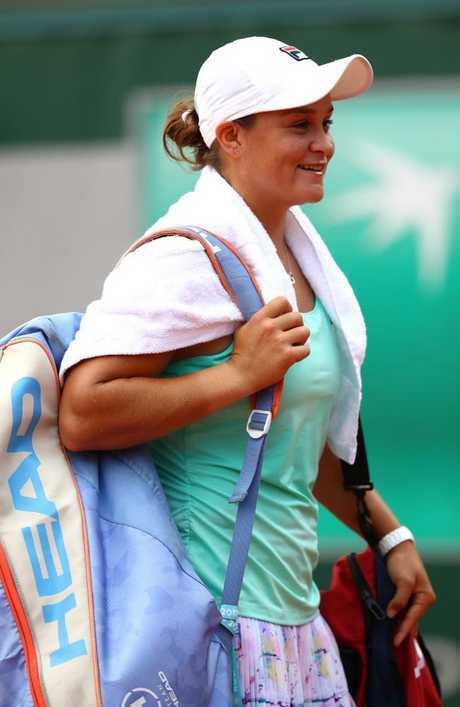 Ash Barty showed no signs of the back soreness that had plagued her. Competing at her first grand slam match since winning the 2017 Australian Open, Williams then survived Czech Kristyna Pliskova 7-6 (7-4) 6-3. Using a protected ranking to compete, Williams was contentiously overlooked for a seeding - leaving her at the mercy of the draw. Officially ranked 451, and chasing a record-equalling 24th singles major, Williams was predictably below her best against world No 70 Pliskova. But as the match wore on, and rust fell from the American's game, she single-mindedly imposed her will. 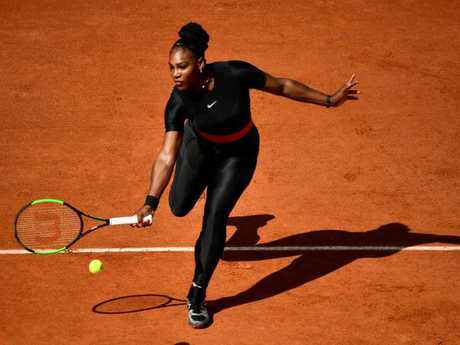 Serena Williams sported a black catsuit during the match, explaining to reporters later it helped curb blood clots. Wearing a black cat suit, Williams revealed the outfit was as much about functionality as style. "The cat suit, I had a lot of problems with my blood clots, and, God, I don't know how many I have had in the past 12 months," she said. "It's a fun suit, but it's also functional so I can be able to play without any problems." The French Open marks the great champ’s first tournament return since giving birth to a daughter last September. "Yeah, it feels like this suit represents all the women that have been through a lot mentally, physically with their body to come back and have confidence and to believe in themselves," she said. "I definitely feel like it is an opportunity for me to inspire a whole different group of amazing women and kids. It just kind of expands that, and I really, really embrace it." 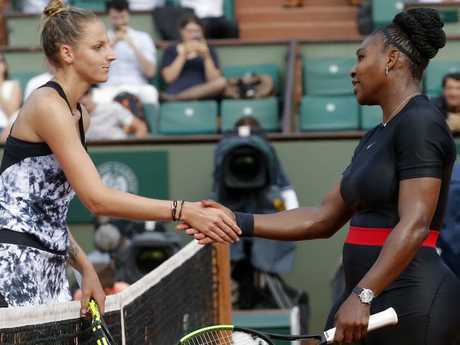 Serena Williams defeated Kristyna Pliskova of the Czech Republic.